It is a common to find in many neighborhoods foreclosed homes due to the sluggish economy. 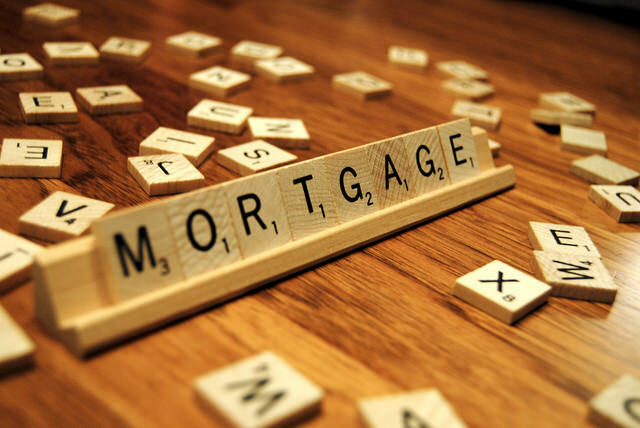 Many homeowners are struggling to make the monthly mortgage payment. Even with these tough times, the good news is that many lenders are more willing than to negotiate terms to help homeowners avoid foreclosure. By renegotiating their mortgage, homeowners may be able to get a lower finance rate as well as change your rate from a high fixed-rate mortgages or adjustable-rate. Most lenders require that you have at least 10 percent equity in your home. You can easily check the value of your home on sites such as Zillow.com and I can provide you with a free and quick estimate of your home’s worth. In addition, most lenders typically will require that you have a credit score of at least 720 to qualify for good rates. Lenders are aware of the many fiscal difficulties borrowers have in making their mortgage payments when hardships arise. However, they typically won't volunteer or advertise their help. So if you are struggling to make your payments on time, it is vital that you take the initiative and contact your lender and give them a heads up on your current financial hardship before you miss payments. Keep in mind that lenders have more incentive than ever to work with you. Plunging property values mean they’re recovering less now on foreclosures. Plus, many that received cash infusions from the U.S. Treasury are under pressure to show that they’re responding to the housing crisis. Homebuyers who will request quotes from lenders for mortgage financing will find that these quotes will often include both loan rates and "points." For many potential homebuyers they find themselves confused as to exactly what is a point? A point is a fee equal to 1 percent of the loan amount. For example, A 30-year, $200,000 mortgage might have a rate of 6 percent, but come with a charge of 1 point, or $2,000. A lender can charge 1, 2 or more points. There are two kinds of points: discount points and origination points. •Discount points:These types of points are really prepaid interest on the mortgage loan. Because, the more points you pay, the lower the interest rate on the loan and vice versa. Borrowers typically can pay anywhere from zero to 3 or 4 points, depending on how much they want to lower their rates. The advantage to this type of point is that it is tax-deductible. •Origination fee: This is charged by the lender to cover the costs of making the loan. The origination fee is deductible if it was used to obtain the mortgage and not to pay other closing costs. The IRS specifically states that if the fee is for items that would normally be itemized on a settlement statement, such as notary fees, preparation costs, and inspection fees, it is not deductible. The longer you keep the property financed under the loan with purchased points, the more the money spent on the points will pay off. Accordingly, if the intention is to buy and sell the property or refinance in a rapid fashion, buying points is actually going to end up costing more than just paying the loan at the higher interest rate. There are many different factors that will effect whether or not you pay points as well as how many. The amount of money you have to put down at closing as well as how long you plan on staying in your house can be a factor. If you plan to stay in your home for a while, it may be worth reducing the interest rate by paying points. Be sure to have your lender carefully explain these fees if you have any questions. The Wall Street Journal recently published an article that the Federal Reserve has pledged to stop buying mortgages by March 31. This news is cause for concern for both home builders and mortgage investors as this program has been successful in helping the real estate market recover. This news also sparks fears that mortgage rates could rise and cause even more problems for the already fragile housing market. Earth Day is celebrated in the US on April 22 and is a day designed to inspire awareness and appreciation for the Earth's environment. First celebrated in 1970 as a global day of observance of the need to protect the earth, this year marks the 40th anniversary of this holiday. The Chicago area hosts many events each year to celebrate Earth Day. Below are some of the exciting events planned in the area! This run/walk event takes place on Saturday, April 24th at 8 a.m. along Humboldt Park and Logan Square. Registration fee for runners and walkers is $30 and $35 the day of the event. Fees for children ages 11 to 17 are $20 and children under 10 are free. Stick around after the Earth Day 5K for an all-day Green Living Expo that includes entertainment for the whole family, great food, educational booths on saving the environment and a farmers market. For more information, go to the 5K for Earth Day event website here. The Chicago Kayak Club will once again be holding their clean up day in celebration of Earth Day. This year's event will take place the Sunday before Earth Day on April 18th from 1 p.m. until 5 p.m. The group will be cleaning up Skokie Lagoons. The club will be clearing all trash and debris in the surrounding areas of the Lagoons and along the water's edge. Those with kayaks or canoes are encouraged to participate and will have the opportunity to do their clean up from the water. Gloves, pick sticks and garbage bags will be provided. These items have been generously donated to the club by the Forest Preserve District of Cook County. GO Green Management will be hosting their 3rd annual Earth Day Celebration on Thursday, April 22nd starting at 5 p.m. with an educational mixer. At 6 p.m. the excitement begins with Veev cocktails, food from local Chicago eateries and great entertainment. Tickets are $30 in advance and $40 at the door. The Earth Day event takes place at Flai. If your looking for a great event for the children, then this is the place to celebrate Earth Day. The Scout Seasonal Workshop will be held April 24, from 1 p.m. to 3 p.m. at the Chicago Botanical Garden. The event will include a scavenger hunt, craft projects and other hands-on activities. Tickets for the event are $12. To find out morer Tower located at 222 West Erie, Chicago.